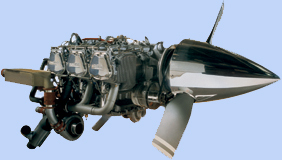 Hinman Aviation has a full array of aircraft parts to service your equipment. However, from time to time, we have useful parts and equipment our customers have asked us to post for sale. Here is a partial list of some special items for sale. This list can change often, so check back for the latest deals! 2 blade Hartzell Propeller P/N HC-C2YK-1BF, S/N CH1644. PTT 4154, TSMOH 2133, Asking price $2500 plus shipping. Includes composite spinner and Aluminum back plate. Click the image to enlarge, or click "read more". Watch for more parts listings!.